November 19, 2018 – Bertin wants to be known as a man of integrity who motivated others! July 7, 2018 – The biggest challenge Bertin faced this last year was his living situation. He said he found himself not doing very well in his classes because he and his roommates weren’t spending enough time studying and doing their homework. Once he realized that it was effecting his classes, he brought it up to his roommates and encouraged them to support each other in their studies. Although not all of them agreed with him to change their habits, a few were willing to change and they supported each other and helped one another study! This summer, he is excited to be looking for an internship in order to learn more and put what he has learned already into practice! May 12, 2018 – The first thing Bertin values is helping others, because when you help someone to overcome challenges you are also blessed. The second thing is opportunities, because he never wants to miss an opportunity in his life! March 25, 2018 – When Bertin was younger, he wanted to be a mathematics teacher because math was always his best subject in school. In five years, he hopes to be a successful business owner who is creating jobs opportunities for people who are unemployed! Feb 27, 2018 – Bertin said his nickname is Silent Killer, because he is always doing things people don’t expect of him. The person who inspires Bertin the most is his friend Obed, because he is a hardworking man who is very kind to everyone! Jan 25, 2018 – Bertin said that an impactful book he recently read was Living Forward by Michael Hyatt and Daniel Harkavy. The most interesting part for him was when they talked about how life has no limits if we push beyond our comfort zones! Dec 18, 2017 – Bertin explains that Christmas is traditionally celebrated together with the whole family, they go to church and then afterwards they share a meal together, dance and have fun spending time with each other! Bertin thinks a word his friends would use to describe him is “determined” because he never gives up when he is working on something he really wants! Oct 8, 2017 – Bertin had an amazing summer and is excited to start his second year at university with the These Numbers Have Faces program. Bertin grew up in a large close-knit family of ten, who loved spending time together. He was particularly close to his grandmother, who always encouraged him to be a dedicated son, brother, and neighbor. After Bertin receives a degree in Civil Engineering, he is excited to provide engineering solutions to his community, support his siblings through their educational journey, and care for his mother’s medical needs. 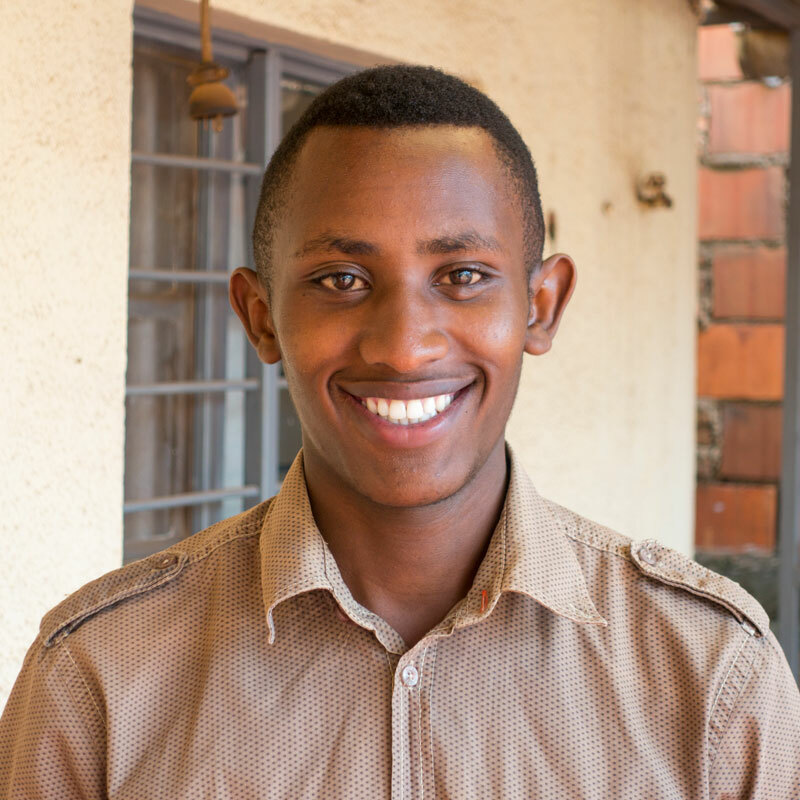 As the first member of his family to attend university, Bertin has opened up a new path for his family and future generations to follow!